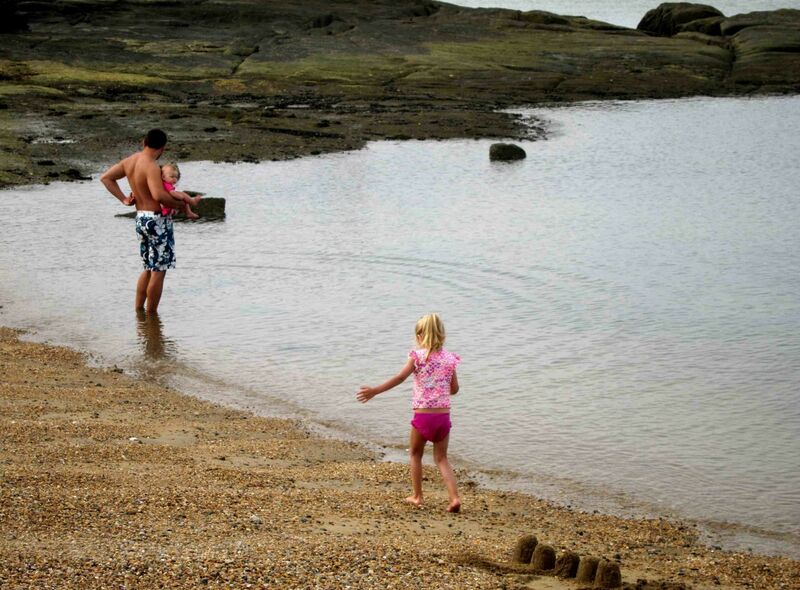 The town of Madison, Connecticut, midway between the New York City and Boston shorelines, is blessed with pastoral seascapes and some of the cleanest and least utilized beaches on the Long Island Sound. There is a seasonal resort flavor here but, in truth, it is a destination with year-round getaway potential. Just minutes off the busy I-95, you will find the Madison Beach Hotel, a classic beachfront resort with a timeless feel. The original hotel was torn down and has been completely rebuilt and recently re-opened. During our visit, we found it to be the perfect cocktail of saltwater, sand and family time. 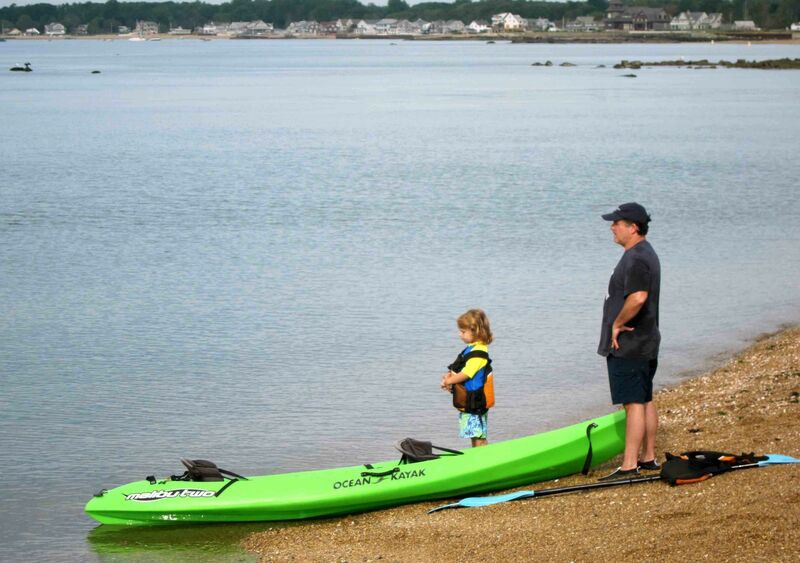 … without going all the way to Martha’s Vineyard or Maine. If you are seeking a weekend retreat with an authentic New England flavor, look no further. The property exudes an easy elegance reminiscent of traditional East Coast family resorts. Not surprisingly, the Madison Beach Hotel is family owned and operated. The Duques family are Madison locals, committed to the community, including hiring local residents. We found each member of the staff helpful. One evening the owner, Mrs. Dawn Duques, was greeting diners with a smile, petting dogs and serenely chatting with guests. This svelte grandmother has the looks and panache of a movie star, but the secret is out that she has been married for nearly 50 years and has given birth to triplets. The gracious, hospitable attitude of the staff clearly comes from the top. The 32 rooms feature clean lines that have a crisp, nautical feel. The ambiance is low-key luxury and understated. All rooms have balconies, water views and top-notch amenities like Frette bathrobes, plush towels and fantastic linens. If these luxuries don’t get the kids to take notice, the evening turndown service will, thanks to the addition of a chocolate marshmallow concoction worthy of Willy Wonka’s attention. The property has several dog-friendly rooms, so no need to leave your pooch in the kennel. The hotel is open all year and caters to an upscale clientele which means that budget watchers will have to check the website for low season specials. Cribs are available on request from the hotel, as well as other basic baby gear. The beach is just steps from your hotel room. This means you can get to your room in a jiffy for feedings, diaper changes or naps. Super-comfortable chaise longue and sturdy umbrellas are set up on the beach, with sand toys scattered about. Some young families had the grandparents along, enjoying mellow multi-generation family time, a treatment at the plush Spa or a round of golf at the club next door. The hotel serves a robust beachside lunch and this carefree midday dining option was popular. The on-site restaurant, The Wharf, serves three meals daily and is casual enough for the entire family. The kid’s menu has all of the standard favorites and adults will have their appetites tempted with fresh seafood prepared with a light touch. Winning flavors include a divine arugula salad with razor-thin Parmesan shavings and a trio of tart fruit sorbets. Dine on the panoramic terrace for a real treat. Sea kayaks are a fun option, and it is easy to paddle to tiny offshore Texas Island, an uninhabited birding sanctuary that will have you feeling like Robinson Crusoe. Fishing is a popular pastime. Bikes are available to rent and you can pedal into town in minutes. A good selection of board games and a family-appropriate DVD library add a homey touch. There is no organized kid’s club, as the emphasis here is on spending time together. In summer, there are two weekly family events. Tuesday evening is movie night, with a different family film presented outside, with seating on the lawn. Thursday night is the Grassy Strip Music Series. Live music under the stars is free to guests and locals alike. We were there for a packed concert by John Cafferty & the Beaver Brown Band. Middle-aged moms channeling their former groupie selves rocked out, much to the embarrassment of their tween daughters. Grandpas swung toddlers and families danced together for a delightful evening of G-rated music and merriment, as you can see in my video. You could never leave the grounds and consider your vacation complete, but Madison merits a visit. This charming village exudes an all-American spirit and is graced with a quaint Main Street: Boston Post Road. You will find dozens of unique shops that offer excellent browsing. The independent bookseller R.J. Julia, one of the best bookshops in New England, is located here. This is the perfect place to spend a cold or rainy afternoon. If you are the parent of a bookworm, this place is ambrosia anytime. Children have their own huge selection of reading material, with comfy seating that encourages a leisurely pace. Hard-to-please teens have loads of choices in the Young Adult section, plus the benefit of a devoted staff whose mission it is to help customers find the perfect title. The store hosts over 350 literary events each year, some geared for families. The Madison Art Cinemas is an old-time movie theater that screens art house films and documentaries. They have occasional programming just for children, but if you are travelling with teenagers who are open to alternative cinema, this is a good option. The local arts community has fashioned The Sculpture Mile, where you can experience a changing series of sculpture and statues. This public art installation is a great place for a stroll, as the open-air setting is a good way for children to view art in an entirely informal manner. Hammonasset Beach State Park is Connecticut’s largest shoreline park, located just up the road from the hotel. It offers two miles of beach, a picnic area, fishing pier, nature center and flat hiking trails. In summer there are lots more local activities. The Madison Town Green hosts live free concerts all summer and a popular Farmers’ Market each Friday afternoon, May to October. Neighboring Guilford is another sweet town. It is home to bustling Bishop’s Orchards. You will find a cornucopia of fresh produce for sale, or pick your own apples, berries and pumpkins seasonally. Family owned for six generations, this is the real deal New England farm stand. Come in fall for a hayride followed by hot home-pressed cider and fresh doughnuts. Perhaps the biggest surprise in this patrician town is the active food truck scene at the Town Green. Few styles of dining are as casual or kid-friendly. At High Tide Gourmet, the menu features a mouth-watering lobster roll served with a side of tangy, Asian-style coleslaw. For something with a dash of spice, try Taco Pacifico. The menu features guacamole made fresh daily, fish tacos stuffed with the local catch and warm homemade tortilla chips. 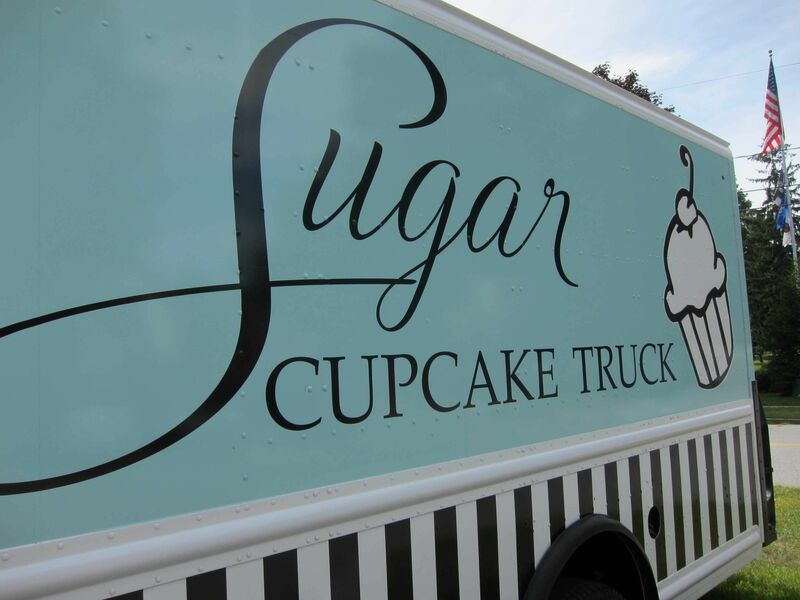 End your meal with a cupcake from award-winning Sugar Bakery truck. These sweet treats are as gorgeous as they are delicious. If you prefer a sit-down meal, the Madison Coffee Shop is a local favorite. It is decorated with a mix of vintage toys and old-fashioned bric-a-brac, adding to the retro feel that already exists, thanks to the classic booths, swivel chairs at the counter and old-school waitresses. Grilled cheese, burgers, fries and hearty breakfast fare are all on the menu, and prices are low. Open daily until 2 p.m.